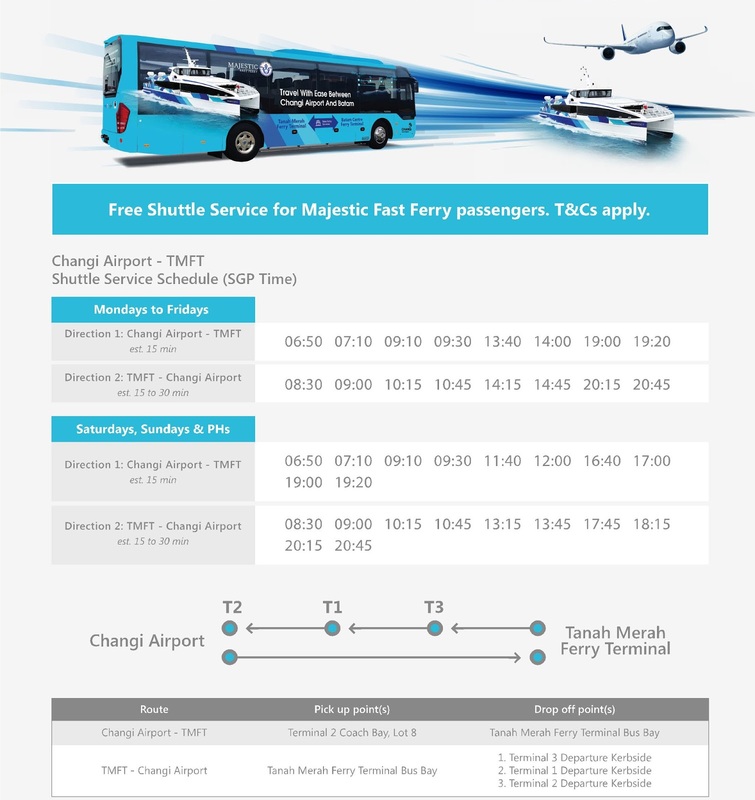 Free Shuttle Service for Majestic Fast Ferry Passengers Between Changi Airport & Tanah Merah Ferry Terminal (TMFT) from 1st August 2017. TMFT is the gateway to nearby Indonesia islands of Batam and Bintan. Majestic has daily ferry services to Batam Center (Batam) and Tanjungpinang (Bintan) out of TMFT. Passengers are advised to wait at the pick-up point at least 10 minutes before scheduled departure time. Total journey from Changi Airport T2 to Tanah Merah Ferry Terminal is approximately 15 minutes, while the total journey from Tanah Merah Ferry Terminal to Changi Airport T3/1/2 is appproximately 15 to 30 minutes. Timings are subject to change without notice due to traffic conditions. Tickets are priced at $2 per journey. Fares can be paid with Singapore Dollars or EZ Link. No change is given and all tickets sold are non-refundable. Children below 12m in height do not have to pay. Voucher redemption can be done at either Changi Airport Terminal 2 or Sri Bintan Pura Tanjungpinang International Ferry Terminal. Majestic Fast Ferry passengers travelling from Tanah Merah Ferry Terminal (TMFT) to Sri Bintan Pura Tanjungpinang International Ferry Terminal (SBPFT). Eligibility Periode start from 1st August 2017. 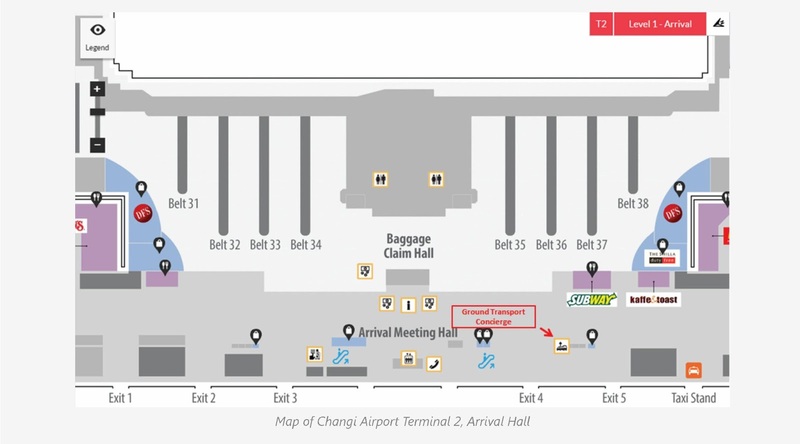 Present Majestic Fast Ferry ticket or booking confirmation documents at Ground Transport Concierge located at Changi Airport Terminal 2 Arrival Hall. The staff on duty will check on passengers' eligibility before issuing the voucher. 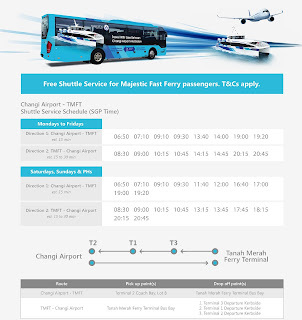 The free shuttle service voucher will be issued upon collection of SBPFT - TMFT ferry boarding pass at Majestic Fast Ferry's Ticketing Counter located at Sri Bintan Pura Tanjungpinang International Ferry Terminal. Only Majestic Fast Ferry passengers who hold TMFT to SBPFT and/or SBPFT to TMFT ferry tickets are entitled to this free shuttle service. 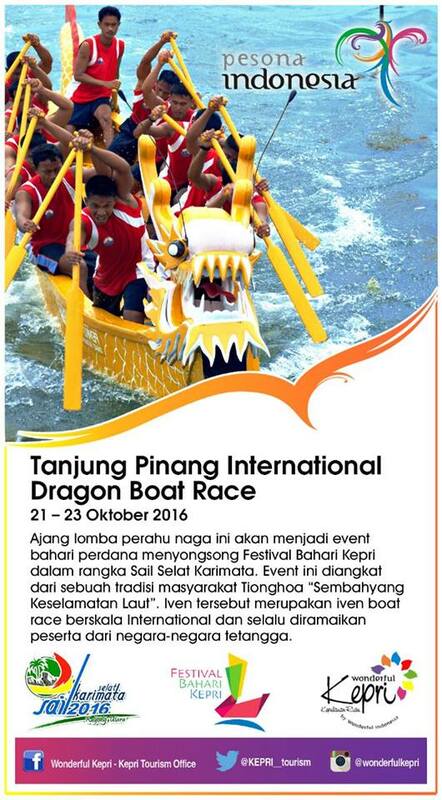 Each ferry boarding pass is eligible for one (1) free shuttle service voucher. Eligible passengers are required to present the free shuttle service voucher to the bus captain at point of boarding to enjoy the free shuttle service. The free shuttle service is valid on the day of the ferry ride only. Passengers without vouchers are required to pay for the shuttle service. Shuttle tickets are priced at $2 per journey and are payable using Singapore Dollars or EZ-Link upon boarding of the bus. No change is given and all tickets sold are non-refundable.